Sir Isaac Newton formulated 3 physical “laws” that became the basis for classical mechanics. Through these laws he describe the relationship of forces, objects, and motion. For three centuries this has been the foundation for understanding motion and physical force systems. Keep in mind that although these 3 laws changed the way scientist looked at the world, it is by no means complete. Further revelations dealing with quantum physics and theories of relativity have shown that these laws are only the basis for mechanics and not all-inclusive. Nonetheless, understanding these 3 laws is a pre-requisit to studying motion and their physical systems. 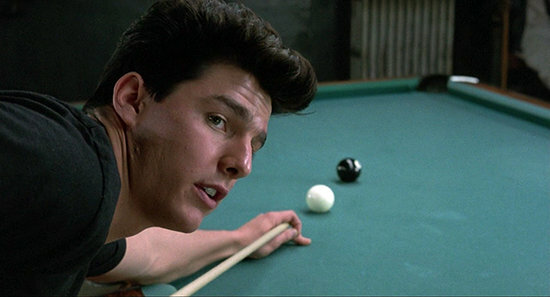 The first rule of newton’s laws is you do not talk about newton’s laws. The second rule of newton’s laws is you do not talk about newton’s laws! An object in a state of constant velocity tends to remain in that state of motion unless an unbalanced force is applied to it. In other words, it is the resistance to motion changes. There are important considerations when conceptualizing inertia. One of these considerations is that rest is a constant velocity and can be considered to have inertia. Another consideration is that gravity is an unbalanced force acting on all objects. Consider the late swing phase of gait and the forces going forward with the lower extremity. Just prior to heel-strike there are almost no muscles activated that bring the extremity forward, yet it is still proceeding to travel forward in space. 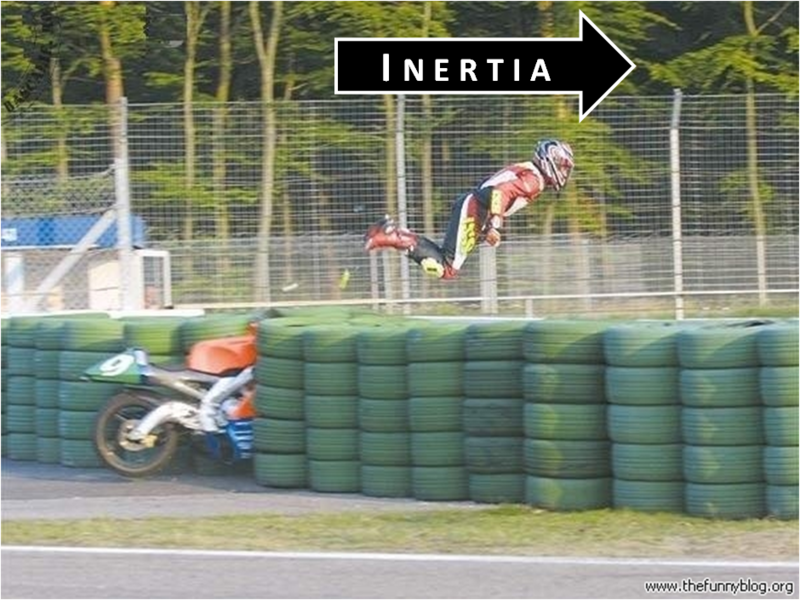 This is inertia. To deal with this inertia the body deploys an eccentric contraction of the hamstrings to slow down the extremity to prepare for heel-strike and to reduce harsh reactionary forces. The net force applied to a body (mass) produces a proportional acceleration. This law describes the relationship between an object’s mass, acceleration, and the applied force. Both acceleration and force must have the same vector direction. Momentum = mass x velocity. The change of momentum of a body is proportional to the impulse impressed on the body, and happens along the straight line on which that impulse is impressed. Momentum cannot be changed unless acted upon by an outside force; it can only be conserved. Pretty much every static and dynamic movement has a force. Muscles are the tissues that contract and create force on the body’s levers (connective tissue, bones). 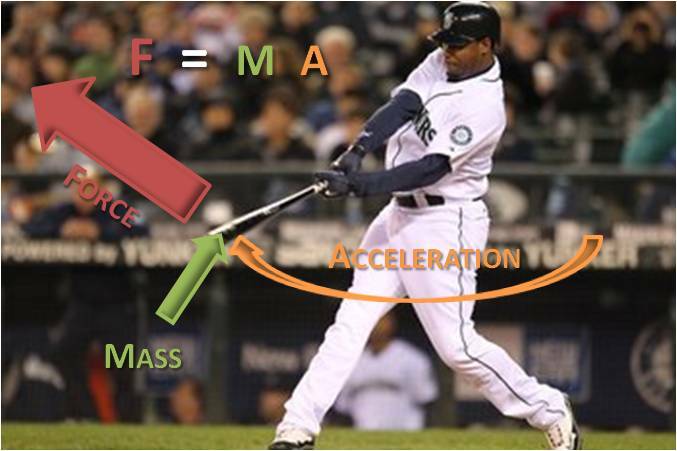 With any human movement, F=ma can be used to create a simplified calculation of force. This equation can even be used with static positions. Consider the static forward head posture. Gravity and the mass of the head imposes an antero-inferior force. To counter this force and prevent your neck from snapping off at your desk, you have to constantly contract your levator scapulae, upper trapezius, and posterior cervical muscles to counter this force. By calculating the acceleration of gravity and mass of the head, you can begin to calculate the muscle forces necessary to prevent movement. For every action there is an equal and opposite reaction. This law describes how forces always come in pairs, meaning that anytime objects are contacting each other, they are exerting a force. An important consideration here is the concept that gravity is ALWAYS touching every object. Putting that ankle weight on a patients leg will create an increase in the force of the mass and downward pull with gravity, the reaction is that the opposing muscle will have to create a force to overcome this mass. Another example of this law is with ground reaction forces. Running on soft ground will result in much less impact forces than running on hard concrete. Newton’s 3 laws of motion are the basis for understanding motion and the correlative force systems. Each law can be applied to biomechanics in it’s own way. Thanks. Pretty much confirms my belief that running shoe manufacturer claims like “absorbing impact and changing it to momentum, increasing positive energy and moving it forward” and “Brand X’s energy-returning properties keep every step charged with an endless supply of light, fast energy” are pseudo-scientific hogwash. Leave a Reply to Lucas Kano Click here to cancel reply.